Completely Erase All iPad Data before Selling, iOS 12 Supported! It is very common when you plan to sell iPhone or iPad and don’t know how to ensure the data is secure. Not the one person who has this issue because most iPad users are afraid to sell the iDevice due to the same reason. Nevertheless, there is no need for panicking and I suggest that you should go ahead and sell it, but first you need to ask, "Before selling my iPad what do I need to do?" The answer to the above question is very simple, here we will tell you how to erase all iPad data before selling it. Why Do You Need to Erase iPad before Selling? Privacy should be a concern to everyone. 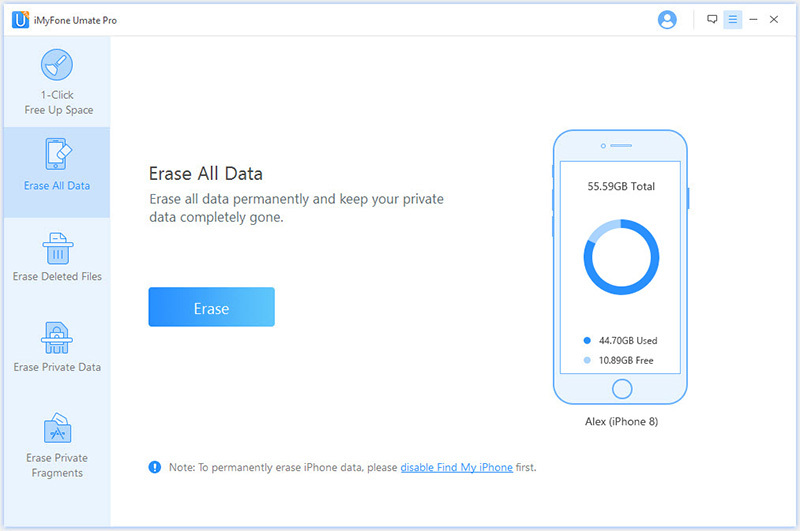 It is very important that you erase your sensitive data from your iPhone, iPad or iPod before selling it out to a stranger. Some people do not buy iDevices because they have any need for it, all they wanted is to retrieve some pieces of banking information from your device and use it for fraudulent activities. You can imagine how much you have gained from selling your iPad when you get to loss huge amount of money because of an issue you could have taken care of. Some fraudsters may also hold you to ransom when they recover private pictures, chats, messages, documents, business information, business strategies, browser history, contacts and other highly sensitive information from your iPad. All these distress can be very disturbing but the good news about all of it is that they are all avoidable with iMyfone Umate Pro. Having understood the dangers associated with selling your iPad without erasing it completely to factory setting. 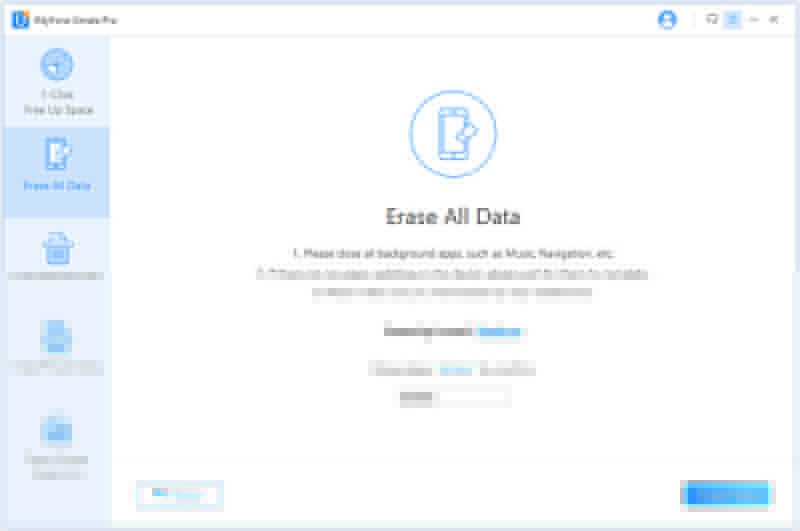 I believe that you will be eager to know how to erase your iPad using this powerful data-destroying tool called iMyfone Umate Pro. However, before we get to using iMyfone Umate Pro, we would like to ensure that you have securely backed up your important files in other storage sources like PC using iTunes or on iCloud. Hence, we will be discussing two steps in ensuring the safety of your files and that of your privacy, which include backing up your iPad data and erasing all data permanently with iMyfone Umate Pro. As we have mentioned above, there are two conventional ways of backing up iPad files before selling the device. One is iCloud, while the other in on your PC using iTunes. We shall be discussing useful steps in backing up your data using iTunes. Backup your iPad data using iTunes: To backup your data using iTunes before selling your iPad, you will need to follow these simple steps. Step 1: Connect your iPad to your PC using a USB cable and launch iTunes on your PC if it does not pop-up on its own. <Step 2: Click on your iPad device icon at the top left side of your iTunes. Step 3:Click on backup to proceed. 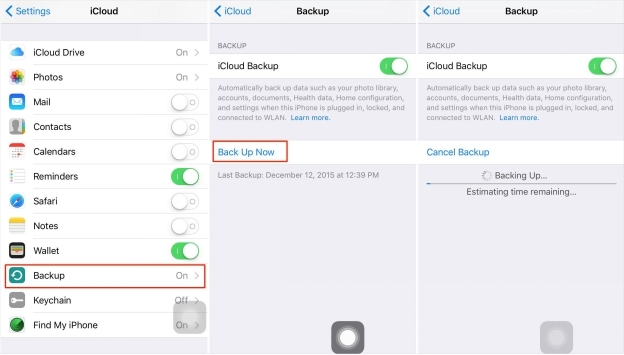 Backup your iPad data using iCloud: Most iDevices are always on auto backup to iCloud unless you switched off this option. 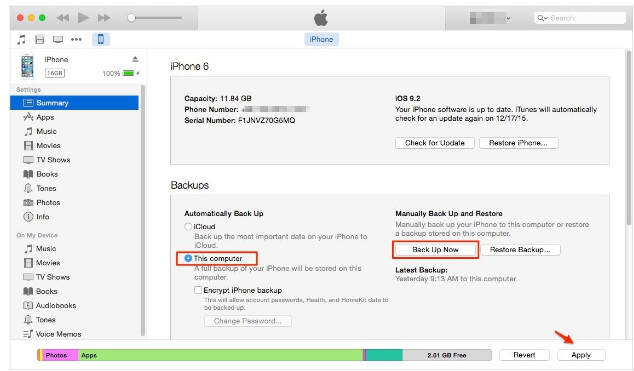 Nevertheless, to backup your iPad data to iCloud, you will follow these few simple steps. Step 1: Go your iPad setting and click on iCloud. Step 2: Select "Storage" from the dropdown menu. Step 3: Click on "Manage Storage". iMyFone Umate Pro or iMyFone Umate Pro for Mac is capable of erasing all data on iPad permanently. The implication of this is that any deleted contents using the Umate pro cannot be recovered by any data recovery software. This is why it is so popular. Once you have fully backed up your iPad, you can now proceed to erasing your sensitive files, videos, music, notes, schedules, messages, reminder, browser information, apps, temporal files, YouTube video caches, audio files, and every other private file from your iPad. iMyfone Umate has four erasing mode, this time we want to erase all data before selling iPad. 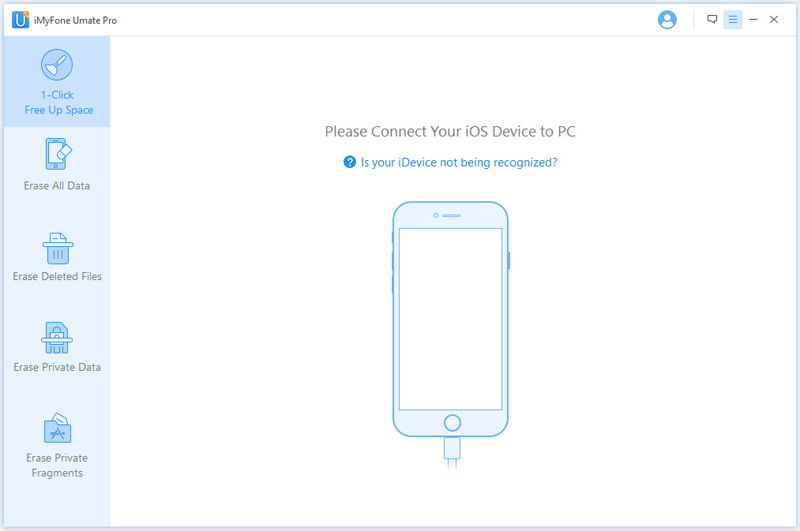 Step 1: Connect your iPad to your PC after downloading and installing iMyFone Umate data destroyer. Step 2: when your iPad has been connected, you will see an option with "Erase All Data," select the optionand click Erase. Step 3: At this point, you will be asked to type "delete" into a box to confirm your actions. Click on "Erase Now" button to proceed. Once you are through with these processes, you will have to exercise a little patience for iMyfone Umate Pro to totally erase all your files. Once this is complete, you will have a factor reset iPad to sell. Hence, you will not have any privacy issues that will worry you.